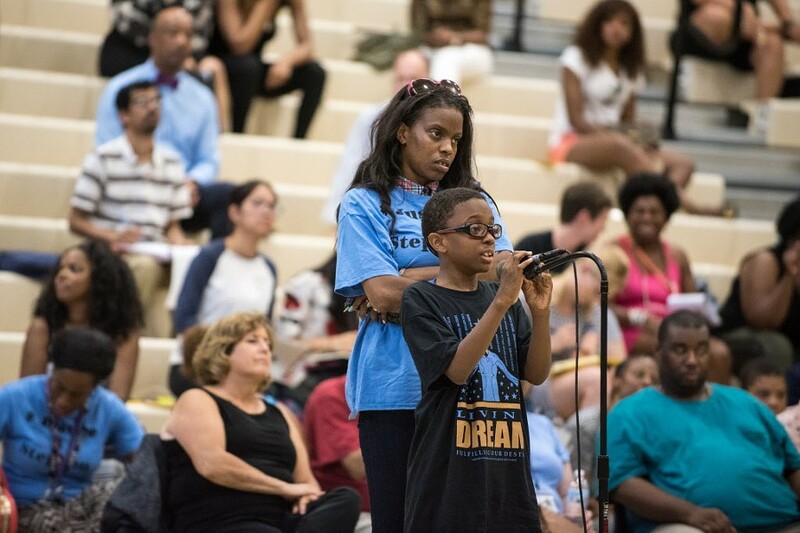 Eleven-year-old J'dyn Simmons, right, talks about his fear of police during a public forum hosted by the U.S. Department of Justice at Truman College in July. Donald Trump's pick of Alabama senator Jeff Sessions for U.S. attorney general has legal observers across the country worried about the Department of Justice's efforts to investigate and discipline police departments for civil rights abuses. Sessions has previously referred to civil rights groups as "un-American," was barred from becoming a federal judge due to controversy over his history of racist statements, opposes gay marriage, wants to ban Muslim immigration, and is a fan of civil asset forfeiture. Locally, many are wondering about the consequences of Sessions's appointment for the ongoing federal probe into the Chicago Police Department, launched last December in the wake of the Laquan McDonald shooting. Will the investigation continue? If it does find evidence of systemic civil rights violations, will the DOJ act on its findings? First, it's unknown when exactly the DOJ will issue a report on its investigation of CPD's potential "patterns or practices" of constitutional violations; the agency's civil rights division has refused to give a timeline, but it's possible it will squeeze in its report before Obama leaves office January 20. Some insiders, like a former DOJ official recently interviewed by In These Times, speculate that the impending presidential transition puts pressure on agency staff to finish ongoing inquiries before the next administration takes over. 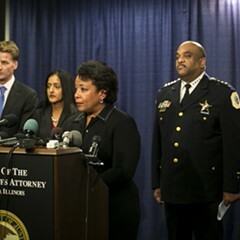 Others, like Chicago Police Board president Lori Lightfoot, think that the DOJ is likely to defer any big pronouncements until after the changing of the guard. Regardless, when the DOJ does eventually release its report, it could find that there were no "patterns or practices" of civil rights abuses within CPD, thus clearing the department. Or, as it has in 27 other jurisdictions—including Los Angeles, New Orleans, and Baltimore—it could find that CPD has indeed been systematically violating citizens' civil rights through the use of excessive force, discriminatory policing, unlawful search and seizure, or other practices. Most Chicago observers, including Lightfoot, have previously alluded to the latter outcome as all but inevitable. When the DOJ finds evidence of persistent misconduct within a police department, it works with local authorities to formalize an agreement—the strictest variation is called a consent decree—that commits that police department to instituting a range of changes. 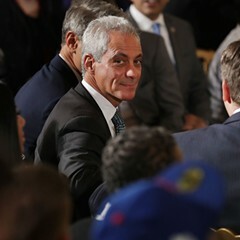 It's widely speculated that if the DOJ finds patterns of abuse in Chicago, the subsequent agreement would be a consent decree and not, for example, a non-legally-binding memorandum of agreement, as has occurred elsewhere. Compliance with a consent decree is overseen by a federal judge and independent monitors. If a police department refuses to negotiate an agreement, or violates the terms of the decree, the U.S. attorney's office can sue the police department for constitutional violations using the results of the DOJ investigation as evidence. If the police department then loses the court battle, a federal receiver can theoretically be appointed to run the agency and bring it into compliance—though this has never actually happened. The DOJ is up-front about the fact that the process of reforming a police department "typically takes years." A change in the White House not only affects the top leadership at the DOJ but also appointments throughout the department, such as the head of the civil rights division. Vanita Gupta, the current head of the division, has built her career on championing marginalized groups, and has made police misconduct, anti-LGBTQ discrimination, and Voting Rights Act violations departmental priorities. This could all change very quickly, depending on who Sessions appoints to the role, even though a DOJ official confirmed to the Reader that the staff leading the Chicago investigation are not subject to political appointment. As a former DOJ spokesman recently told the Washington Post, the civil rights division "was gutted during the [Bush] administration." 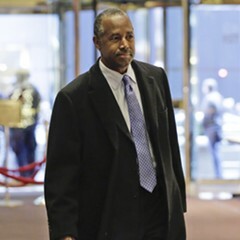 Some 70 percent of the division's lawyers left between 2003 and 2007. It directed its limited resources during this time mainly to freedom-of-religion cases, says attorney Alan Mills, director of the Uptown People's Law Center. Bush's three attorneys general—John Ashcroft, Alberto Gonzales, and Michael Mukasey—preferred to focus the DOJ's energies on expanding the U.S.'s intelligence apparatus at home and abroad, and perfecting legal justification for the use of torture. Under Bush, the DOJ did investigate police departments for patterns or practices of constitutional violations (a power the department has had since 1995). 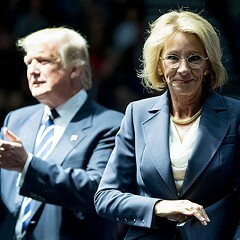 However, based on data compiled by Frontline, since the Obama administration came to power, affirmative findings of patterns or practices of violations have increased dramatically: Seventeen police departments around the country have been found to have been engaged in systematic violations—nearly double the number under the Clinton and Bush administrations combined. While it's possible that the police departments investigated under previous administrations simply weren't doing anything wrong, the uptick in affirmative findings correlates with the civil rights division becoming a well-funded priority under Obama. When he became attorney general, Eric Holder vowed to transform the civil rights division into the DOJ's "crown jewel," deploying unprecedented resources and talent to investigate police departments. And with the increased findings of police abuse, Obama's DOJ has also stepped up pressure on local departments to reform. Of the 21 investigations launched under Bush, just six resulted in agreements for reform. Meanwhile, 13 of the 23 investigations launched under Obama have concluded with such agreements. Three investigations, including the one of CPD, are ongoing. Given Sessions's track record, many observers think it's possible he'll decline to pursue legal action against CPD even if the ongoing investigation reveals serious abuses. "I don't see that there's any appetite by this incoming administration to rein in abuses by the police," says Mills. Legally, even finding evidence of constitutional violations in a police department doesn't oblige the federal government to prosecute the agency. As often happened under Bush, the DOJ could simply issue non-binding recommendations for policy changes within the department. But this doesn't mean police reform is doomed in Chicago. It just means citizens can't expect the federal government's leadership in accomplishing it. 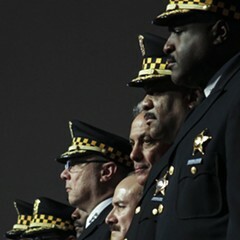 On Tuesday Mayor Rahm Emanuel announced his commitment to police reform with or without the DOJ. Mills says it's possible that a consent decree may still come—if the city asks for it—but Emanuel has made no statements indicating that he would seek such an option. 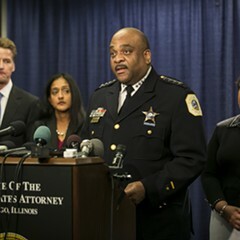 Initially, Emanuel waffled in his receptiveness to the DOJ investigation, and has already attempted reforms locally. This including creating the Police Accountability Task Force, which issued a scathing report on the police department in April, and the overhaul of the Independent Police Review Authority, which investigates allegations of misconduct. But police reform advocates are distrustful of City Hall's willingness and ability to combat police abuses have viewed Emanuel's efforts with skepticism. The new political climate may require more people to get involved locally if they want to see policing change, through everything from street protests to lobbying to running for office. Mills is hopeful about the possibility of this happening here. "Chicago over the last three or four years has developed a sustained resistance to police misconduct from ordinary people," he says. "Who's in power in the federal government has nothing to do with that."